Here is an interesting piece of information that I found while reading up on Diwali. Bandi Chhor Divas (“Day of Liberation”) is a Sikh holiday which coincides with the day of Diwali. Sikhs historically celebrated Diwali along with Hindus, with Guru Amar Das explicitly listing it along with Vaisakhi as a festival for Sikhs. In late 20th century, Sikh religious leaders increasingly called Diwali as Bandi Chhor Divas, and the Shiromani Gurdwara Parbandhak Committee adopted this name along with the Nanakshahi calendar in 2003. Given below are the options to register for some of our online courses. 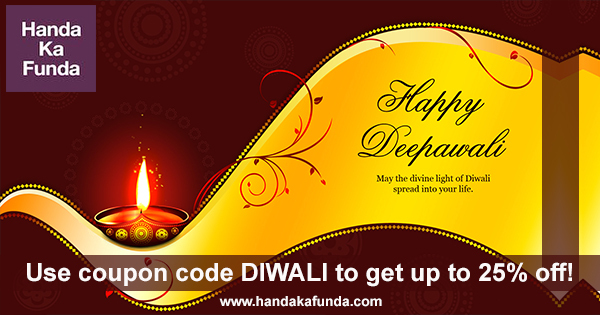 Remember to use coupon code DIWALI before registering for them and get a discount.